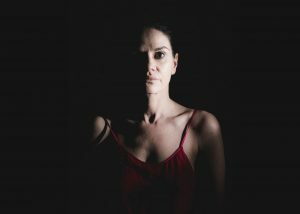 Actress Ffion Dafis stars in production based on old patient medical records | News by Wales Express News, People Before Profit! Medical records from the old Denbigh mental health hospital in North Wales have inspired a new Welsh language play touring this Spring. Ffion Dafis will star in Anweledig this Spring. Fast forward six years, and that story – Anweledig – is set to hit Wales’ largest theatres this February and March. Written by acclaimed author Aled Jones Williams, the Welsh language show stars Bangor born actress Ffion Dafis who plays the part of Glenda, a bank clerk diagnosed with severe depression who’s admitted into Denbigh mental health hospital. “This is the first time I’ve performed on my own on a main-stage production so I’m really excited (and nervous),” said Ffion Dafis. “Having been six years in the making, developing the show has been a natural evolution. We started off with work-in-progress performances in small intimate venues but as Aled developed the script further, it became clear that Glenda’s story needed the main stage setting. I was easier to treat when I was ill, but then people would expect me to jump up and say “Right, I’m fine now,” – but I wasn’t. “I want them to walk out thinking a bit differently about the illness. Hopefully they will be entertained, they will laugh and cry, but they will feel more positive about depression. The production and exhibition will take place at Pontio Bangor (19 – 22 Feb), Aberystwyth Arts Centre (5 – 8 March), Sherman Theatre in Cardiff (12 – 13 March), Ffwrnes Llanelli (18 – 21 March) and Stiwt Rhosllanerchrugog (26 – 27 March).